Izzit Drake and Niv-Mizzit control decks have lost steam on MTG Arena but the planeswalker Ral, Storm Conduit could renew their destructive power. 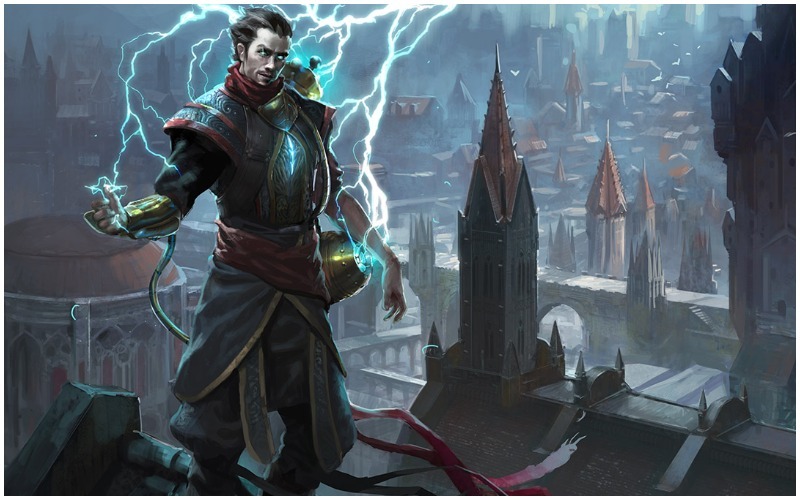 Ral Zarek is one of 36 planeswalkers in the upcoming Ravnica expansion, MTG: War of the Spark. Since the text states “whenever you cast or copy,” a combination with the instant Expansion/Explosion and another instant like Lightning Bolt or Opt also in the stack, triggers a constant looped ability. 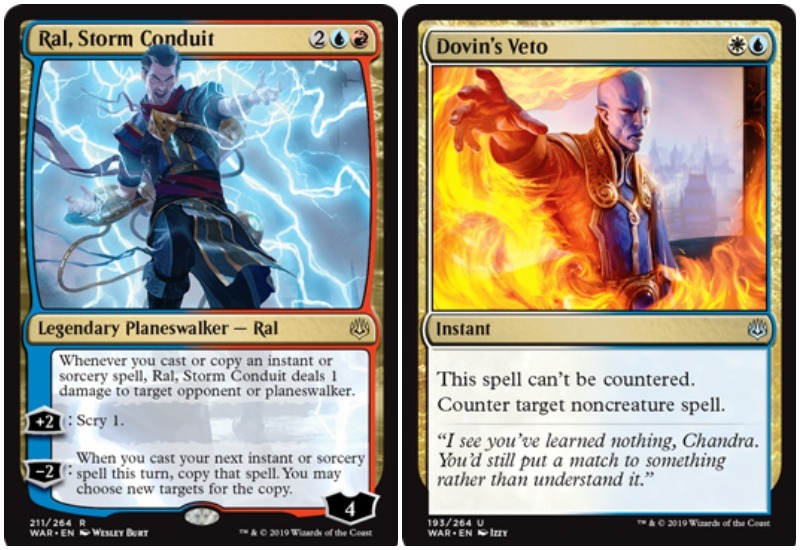 Once this happens, only a card like Dovin’s Veto (counterspell which can’t be countered) can break the loop and keep the match going. Ral, Storm Conduit is faster than Niv-Mizzet in regards to mana required to cast, has a +2 loyalty for Scry one, and a -2 loyalty counter allowing the player to copy a spell. It can also choose a new target for that copied spell. Ral’s static ability will then apply for each spell cast and copied, causing massive amounts of damage to either player, planeswalker, or creatures. In addition to the Storm Conduit planeswalker, two other Ral Zarek inspired cards are coming in War of the Spark. Ral’s Outburst is a four mana (one blue, one red) instant which deals three damage to any target. It also allows the player to look at the top two cards of the library, put one in the hand and the other in the graveyard. Bolt Blend is a four mana (one red) instant which “changes the target of target spell or ability with a single target.” Similar to the blue instant Redirect in M13. Bolt Blend also costs three less mana when a creature on the battlefield has a power of four or greater. This is a great card to slide into an Izzet Drake deck in combination with the Ral, Storm Conduit. Magic: The Gathering War of the Spark expansion arrives in MTG Arena on April 25, 2019.